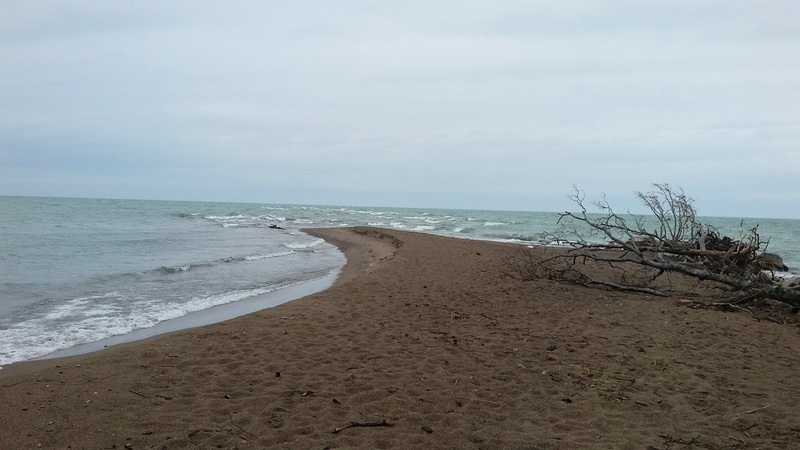 A strong SW wind developed overnight which encouraged me to go to Point Pelee for a Tip Watch. I was the first to arrive at the Tip just after 7 a.m.
Just as I finished setting up my scope, a tardy Black-bellied Plover briefly set down the sand at the Tip. It only stayed a few seconds, then took flight. Jeremy Hatt and Steve Pike joined me soon after my arrival. It was generally slow, typical of lake watches this fall, with few gulls. 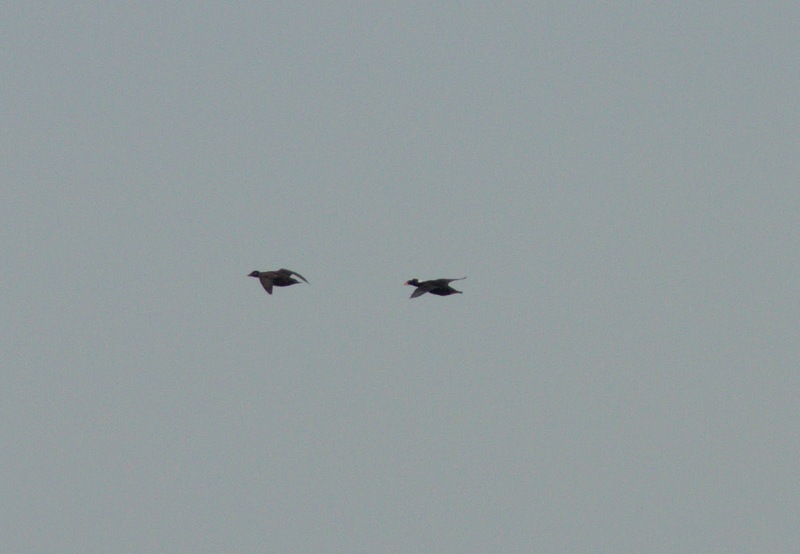 However, it was evident that loons, grebes and ducks were on the move. Many Common Loons were seen flying south, and several Red-throated joined them. I saw at least 13 Red-throated but probably missed many. It seems to be a good year for Red-throated Loon sightings in these parts! Horned Grebes were plentiful as well. I saw at least 50, but no doubt many were missed. 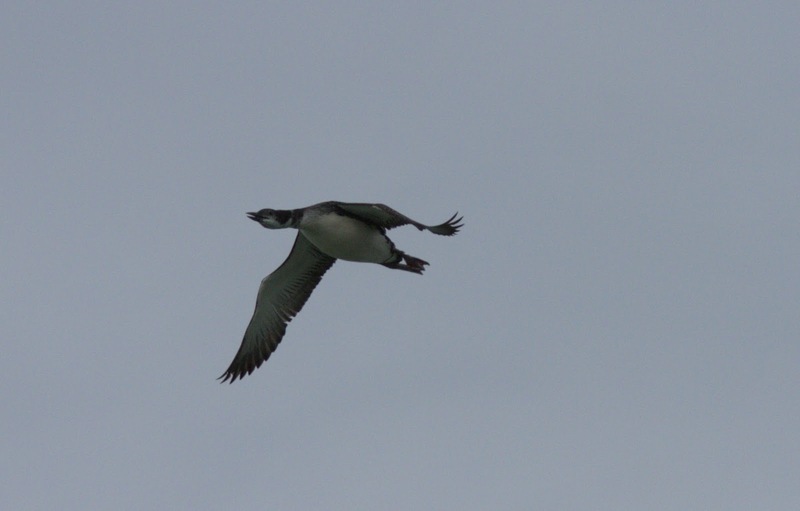 At one point I spotted a swimming loon which seemed different. I looked at it for some time before alerting the others because it looked suspiciously like a Pacific. The more we looked at it, the more we were convinced it was an adult in non-breeding plumage. It looked identical to what you see in the Sibley Guide. It was a bit too distant to attempt a photo under gloomy skies. I was elated since was a new Pelee bird for me! I had missed them in the past by one day many times. Of all the Tip Watches over the years, Pacific Loon finally showed up for me. A while later, Josh Vandermeulen and Todd Hagedorn joined us for some comradarey at the Tip. Mike Nelson came a bit later. 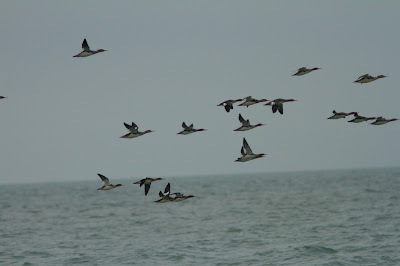 Several species of ducks went by as well as several thousand Red-breasted Mergansers. 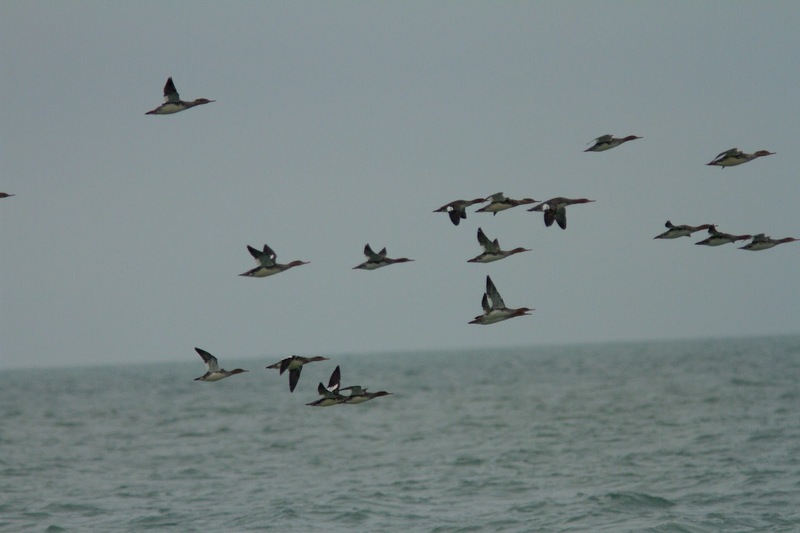 These mergansers can be in big numbers this time of year. I recall one watch many years ago where we had about 54,000 pass by the Tip! (Alan was keeping track as usual). Still no Purple Sandpiper for the year. In the past we have had them on several occasions here. 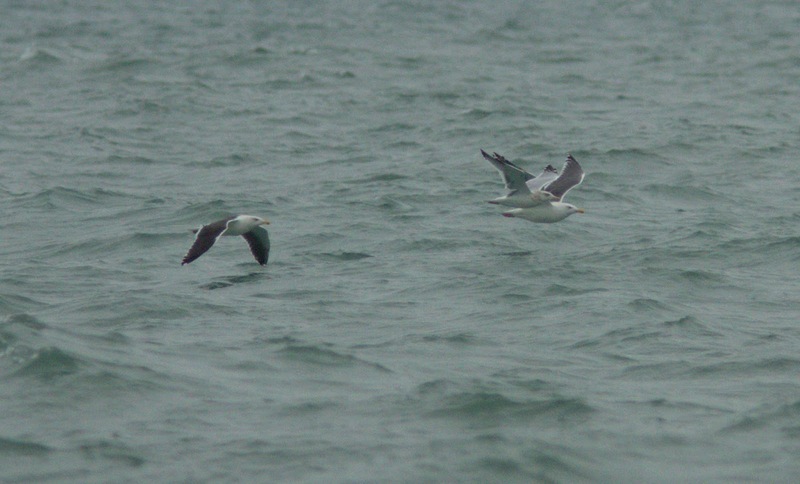 Gulls were rather few and far between. Soon, things started getting slow and the rain was threatening, so we headed up to Sparrow Field. A good raft of scoters (all three species) has been opposite the field for over a week. 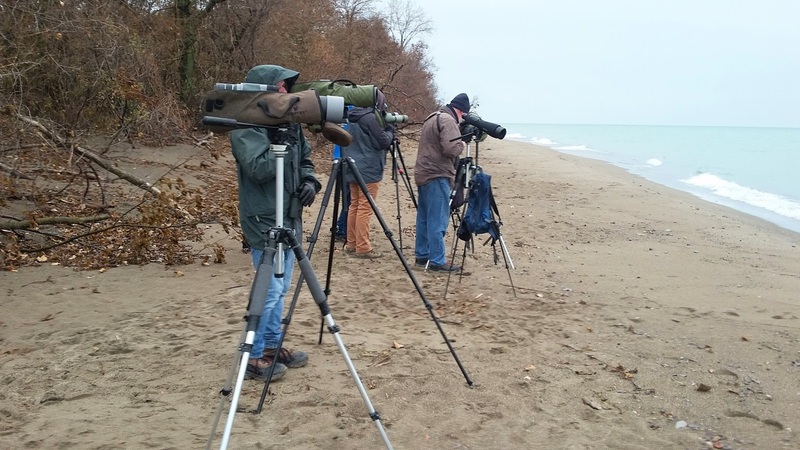 Passerines were virtually absent today, but the typical weekend weather did not help. Before leaving, I checked out Shuster Trail and De Laurier Trail before leaving in the pouring rain. Sunday looks like a good day to head north! Finally! You can now sleep at night! Still cannot sleep at night! At least one Pelee nemesis off the list. Blake, it's great you got the Pacific!